Transform or render photos into watercolor and more. Is there a better alternative to PostworkShop Pro? Is PostworkShop Pro really the best app in Illustration category? Will PostworkShop Pro work good on macOS 10.13.4? 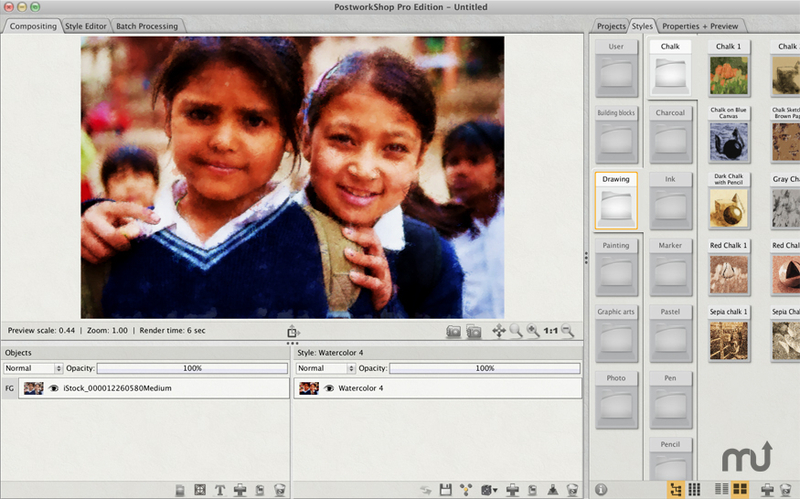 PostworkShop Pro... Take your vision to the next level with PostworkShop Professional Edition. It is a tool that will transform or render your photos into an oil painting or watercolor, pastel drawing or pencil sketch, abstract artwork or old-time photograph. Leave behind the usual look, show something different. Achieve quick results with the 350+ built-in styles: http://postworkshop.net/regnow/style-samples. You can blend and chain them in a familiar layered compositing user interface. Add a new dimension to your creative workflow. PostworkShop will allow you to achieve unique styles and visions for your work or electronic art. Create your own styles. Build new styles easily with the node-based filter graph editor. Or just blend and tweak a few existing styles and save your layered composition as a new style. Reuse and adapt your styles. You need the same effect as last time? Just apply your saved style and adapt it to the new image. You don't have to restart anything, but you can always tweak all the parameters. Fits into your work environment. Exchange data with your graphic applications through industry standard file formats including layered Adobe® Photoshop® PSD images. You can also use these brushes in your paintings. Browse the styles, add layers, blend and chain the effects, set the style parameters and preview the results, create your final image in the Compositing view. Unleash your creativity, whether photo, fractal or 3D render, everything looks better with an adapted artistic style. Work fast, save time with batch processing and quick publishing.